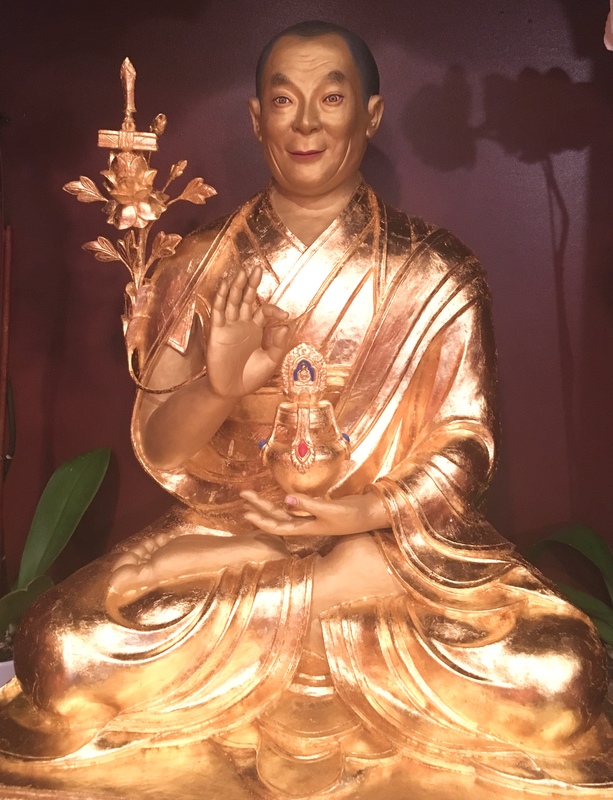 In October 2018, Geshe Sherap commissioned Tibetan Master Artist, Kalsang Oshoe to create the statue of His Holiness Dalai Lama for the center altar. 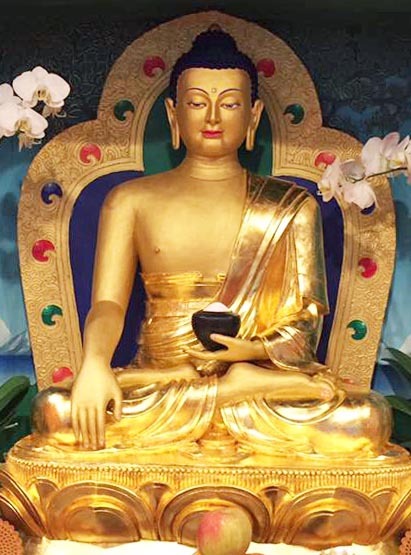 The statue was created to benefit His Holiness for a long life as well as those who come and visit this statue. This statue was completed and placed on the altar on December 2, 2018. Mr. Oshoe has created HHDL statue in a traditional style of clay and paper which he learned from his father when he was of the age of 18. Now Kalsang Oshoe teaches others this technique in Dharamsala, India. In May 2017, Land of Enlightened Wisdom commissioned Master Tibetan Artist Kalsang Oshoe to create the statue of Lord Buddha Shakyamuni for the shrine room. The sculpture is made of clay and paper, in accordance with the traditional specifications, filled with religious scrolls brought from India. Mr. Oshoe completed and placed the statue in the shrine room on June 18, 2017. To view the creation of the statue, follow this link. The Tibetan New Year will begin on February 05, 2019. 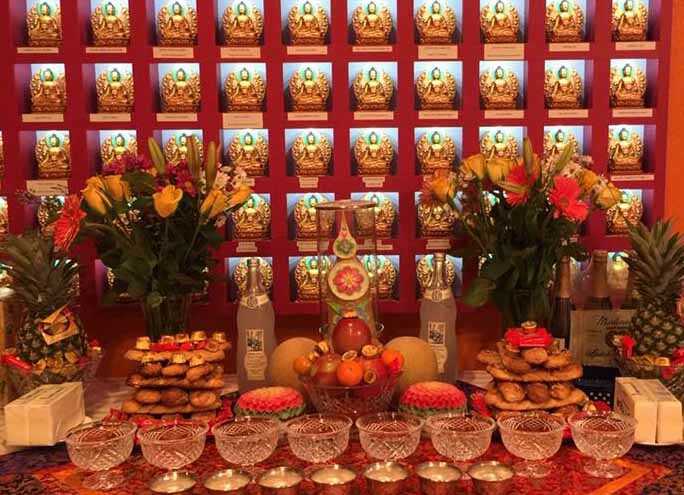 Daily prayers, blessings, and lights are offered by the center monks for your loved ones and aspirations. 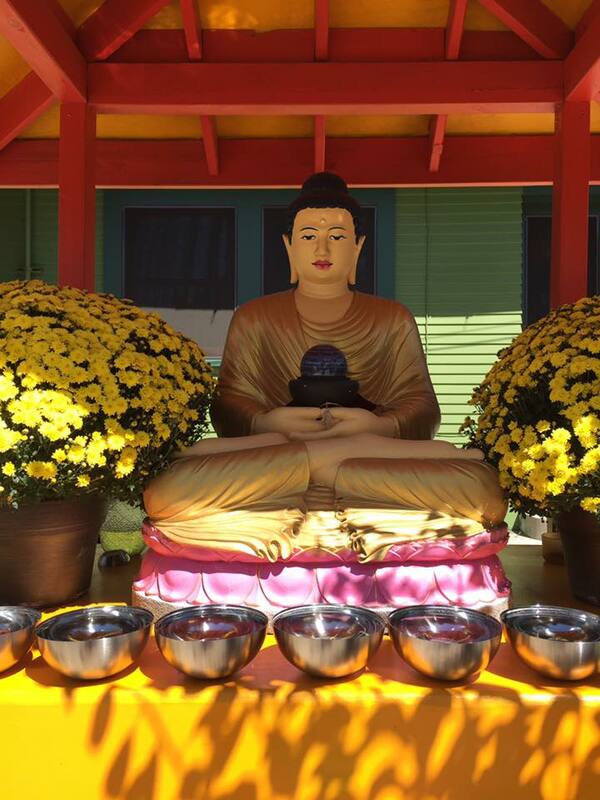 Family names are placed on the shrine in front of one of the 108 Medicine Buddha statues. Dedication puja time To Be Announced. Ven. Tenzin Thutop with the assistance of Geshe Tenzin Sherap, created the sand mandala from May 10-18, 2014. The mandala can be viewed at the LEW center. 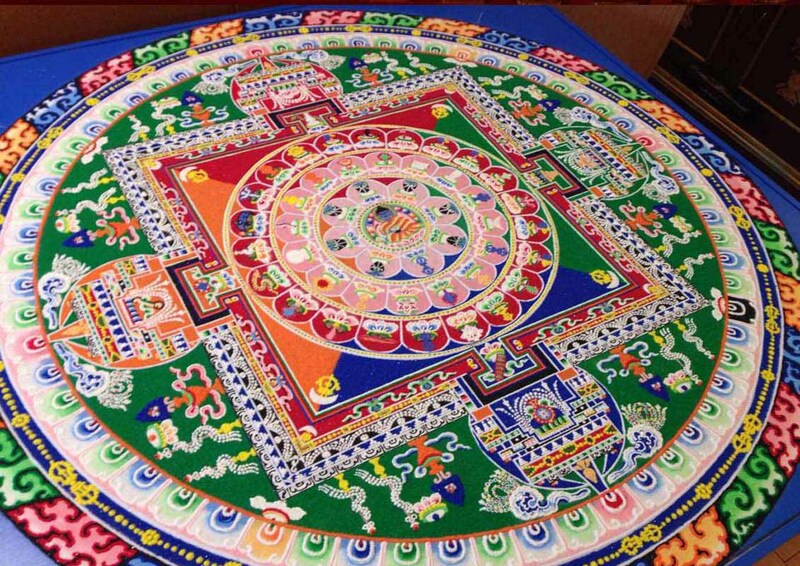 To view the creation of the sand mandala, follow this link. 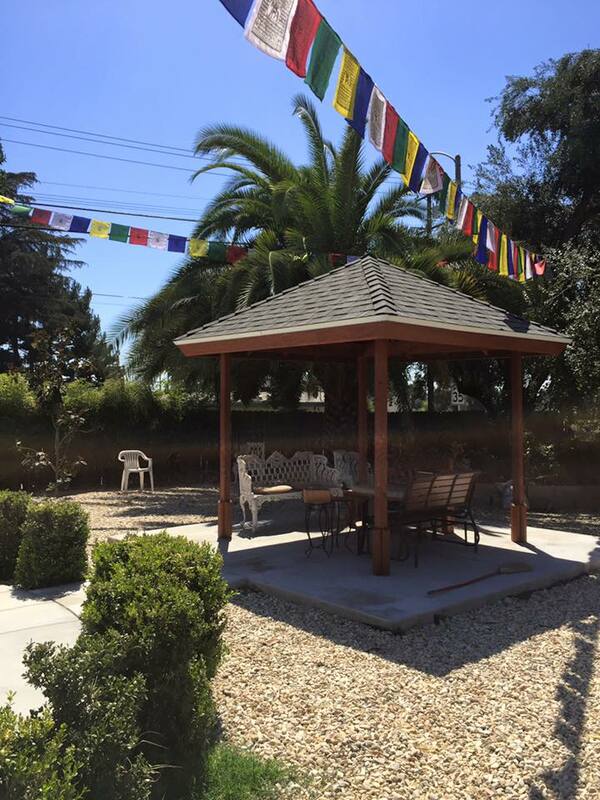 On November 23, 2013, the Stupa of Enlightenment was erected at Land of Enlightened Wisdom center to bless the environment and all the sentient beings. The Stupa of Enlightenment commemorates the defeat of Mara's forces by Buddha Shakyamuni as he meditated under the Bodhi Tree in Bodhgaya, India. It is meant to be of benefit to all sentient beings. You can learn more about the eight different types of Stupas, the symbolism and the benefit of the Stupa, how this Stupa was erected and learn about the Ancient Stupas. 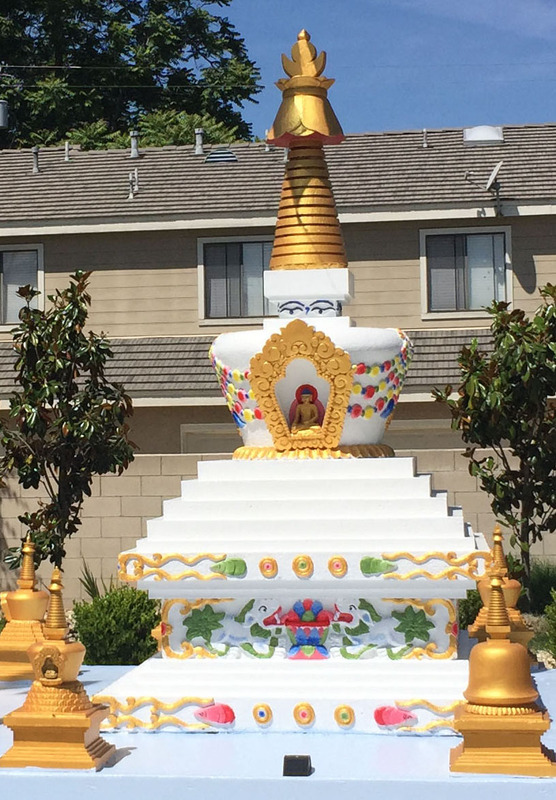 To view the creation of the stupa, follow this link. In October 2011, Land of Enlightened Wisdom commissioned Master Tibetan Artist Kalsang Oshoe to build a three foot statue of Arya Tara. The sculpture is made of clay and paper, in accordance with the traditional specifications, filled with religious scrolls brought from India. 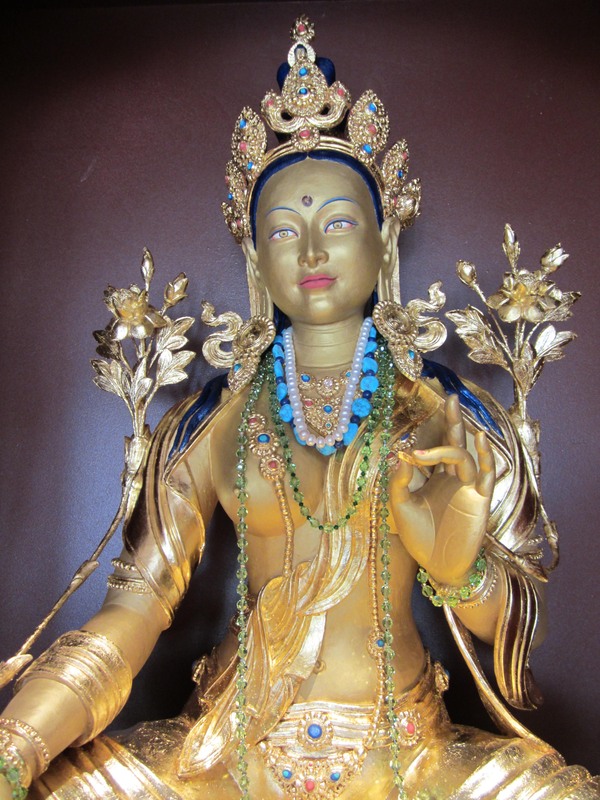 The Arya Tara statue was completed on December 20, 2011 and placed in the shrine room at the Pomona center.